Welcome the smiles and love the blue. Treasure the soil and not the gold. Ring in the new, ring out the old. Sometimes the original lyric writer (George Harrison) sees it, and at other times, it’s left to future history to pick up the lead and follow on. In memory of all who have evolved ‘language’ and allowed us greater ease in expressing ‘thought’. It may still not be easy to say everything one thinks but it’s a whole lot easier to have a go. Well another year has come to its end, people trying to make a difference, hope they have some money to lend, or some other financial reference. This was the first book jacket produced at Little People Books. 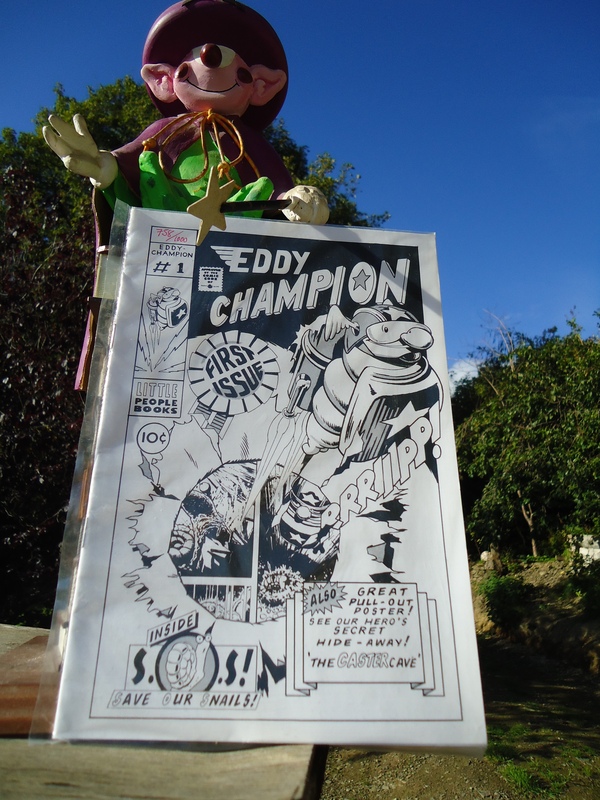 Eddy Champion.